YOB: Complete New Album; Sign To Relapse Records! 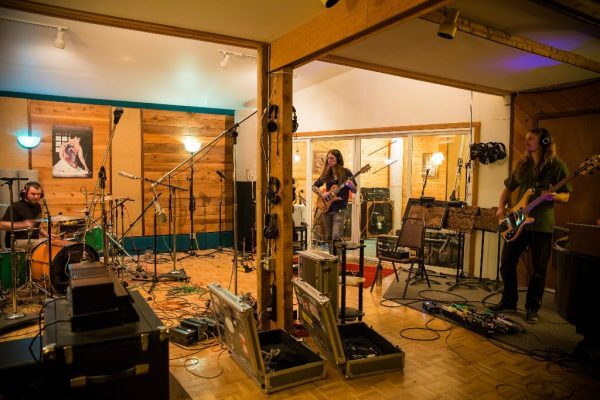 Oregon based cosmic trio YOB has completed recording their highly anticipated 8th full-length album and long-awaited follow-up to the critically acclaimed Clearing The Path To Ascend. The album will contain six tracks co-produced by the band and recorded with engineer Billy Barnett at Gung Ho Studio in Eugene, OR, with mastering handled by Heba Kadry (The Mars Volta, Diamanda Galas, Slowdive). The album has already appeared on the Most Anticipated Albums of 2018 list by numerous publications including Decibel Magazine and Stereogum. Additionally, YOB recently reissued their fifth full-length album, The Great Cessation, in December via Relapse. That album can be streamed via all digital retail outlets HERE and ordered via Relapse.com HERE. YOB has also announced a brief run of dates in 2018, including appearances at Modified Ghost Festival in Vancouver and Sabertooth Festival in Portland. Overdrive spoke with Mike Scheidt on their last European tour in October 2016. Get the full interview here. Stay tuned for more details on YOB’s upcoming album.